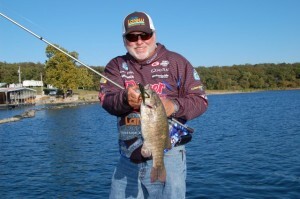 Leave it to bass pros to find a new little twist to an existing lure that makes catching bass a little easier. 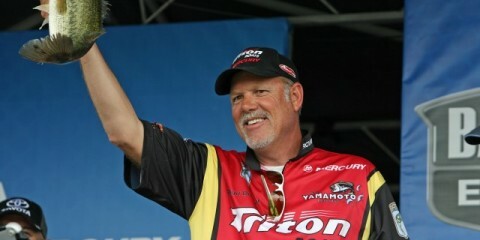 At the 2012 Bassmaster Classic, Alabama pro Keith Poche revealed that he was catching his fish primarily on a soft plastic stickbait; a NetBait Salt Lick, that was modified with a little spinner on the tail. Poche’s revelation sent people all over the Internet looking for examples of how he rigged his bait. One company that figured it out quickly was Talon Lures of Texas. They began putting together their own version of the rig. They are not a company that produces soft plastic lures, so what they did was produce a product called the Talon Worm Bling. The Worm Bling features a small crane swivel attached to a screw lock for threading into the worm, and on the other end is a small Colorado, Indiana or Willowleaf blade. 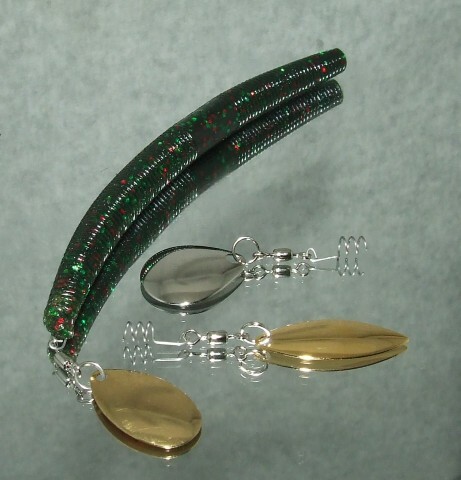 The Worm Bling can be used with any soft plastic bait. We checked in with Talon to see how the project was going, and found out that it has become one of their hottest items since they launched it. Of course, Talon has their seasonal favorites, and right now, the only thing challenging for the top spot on their sales report is their Big Dandy Flutter Spoons. 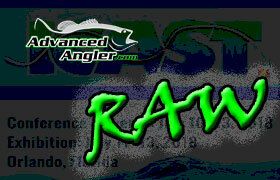 When we heard that, we spoke to Andi and Ivan Sanders to ask more about the lure and the technique used to fish it. 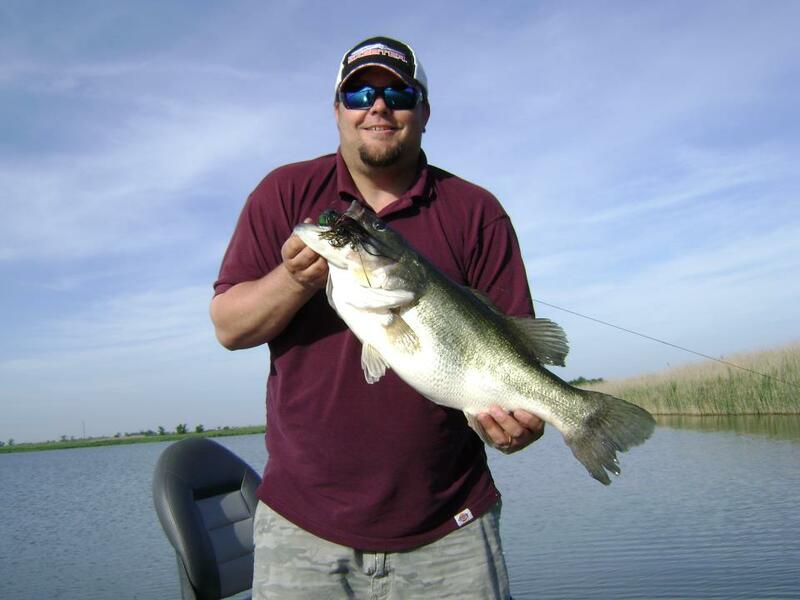 They referred us to one of their pro staffers; Matt Lee of the Dallas / Fort Worth, Tex. area to find out what he had been doing with it. What he said feels right on the rigging of the bait itself is to use a 3/0 Gamakatsu EWG hook when he is using a Senko style lure, or if he is tossing a bulkier Hag’s Tornado Bait with the Worm Bling, he upsizes to a 4/0 hook. He said the final thing to do is make sure there is a bullet weigh on the nose. He said he likes to fish the Worm Bling in any depth, that he has caught them in two feet of water Flipping it around shallow wood, and has caught them on offshore structure in 20 feet or more. 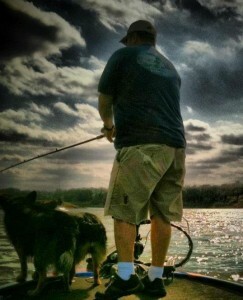 One of his favorite places to throw it is around floating docks for suspended fish. 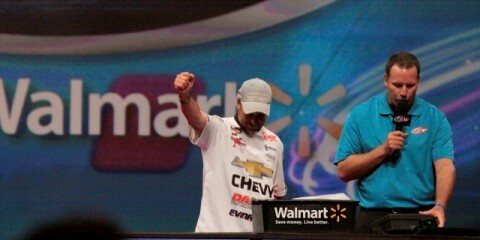 Lee suggested that anglers remain patient when fishing this rig. He said that it took him a few trips to figure out the bite. “You’ll usually get a solid thump on it, but if you set the hook then, you’ll come back with half a worm,” he said. “Wait until you feel the second thump or tick, and that tells you the fish has it, then set the hook.